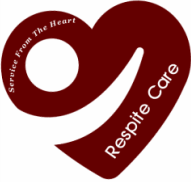 Quality care is given by Respite Care Providers who are Wyoming Certified Nursing Aids and have their Home Health Aid Certification. A Registered Nurse is on staff to set up clients initial assessment and care plans and to oversee care. All providers are CPR and First Aid certified. Providers receive on-going training covering subjects such as caring for the elderly, children, disabled; OSHA and infection control; Alzheimer's, Dementia, and communication skills.